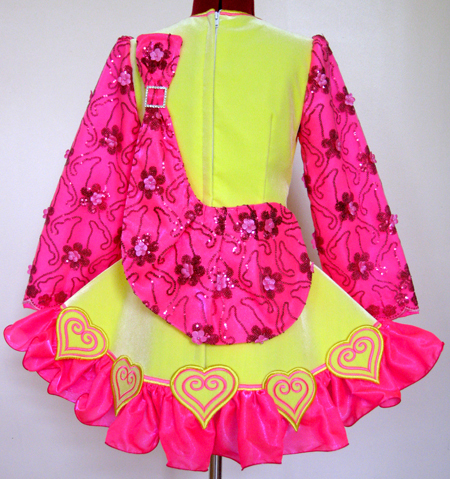 Centre front neck to dropped waist: 13½"
Centre front dropped waist to hem: 11½"
Centre back neck to dropped waist: 15"
Centre back dropped waist to hem: 11½"
Fluro lemon yellow velvet bodice, panels and return pleats. Bright pink floral sequin lace on the sleeves and shawl. 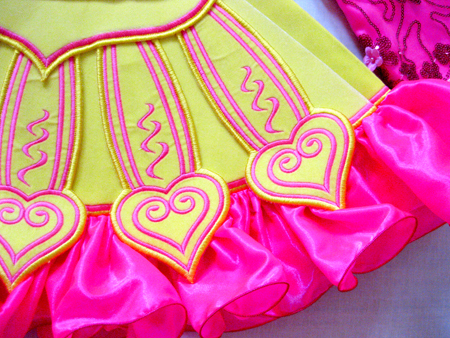 Bright pink embroidery on panels and bodice. 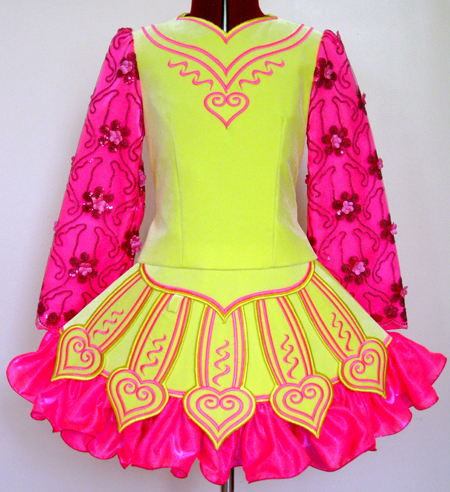 Matching bright pink ruffle with pink hem.